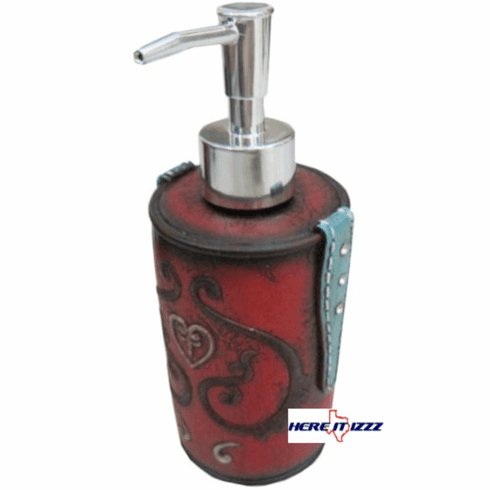 Beautiful rustic looking turquoise and burgundy lotion or soap pump provides a great way to dispense liquid soap or lotion. Rugged polyresin material is made to look great for years and and provides an easy to clean surface. Works great for hand soap and hand sanitizer as well.